I wrote this poem some time ago. you submit for an anthology poetry book. Yes–prizes where supposed to be awarded. The book it was supposed to be in was expensive and designed beautifully. Your poem could be on mugs, magnets and more. on a poetry online website. Daily people could vote on whether they liked it or not. Just because I submitted to one contest (I obtain copyright to this poem)—it seems like they say went forth and multiplied. Which goes to say—you never know what you are getting into. So here is my poem. I found out it is on Poetry.com—currently. Is a first hint of spring. I remember seeing young rabbits running and playing around my backyard apple tree. They did not seem to eat anything valuable but many natural weeds. It was fun to watch them. Then came a year when I did not see any rabbits at all. No momma rabbit leading her babies across the incline to hide in the tall grass. It was very strange. I know that year—I saw foxes coming by the yards from the woods. It was terrible I found a dead baby rabbit’s head. Who knows what happened? 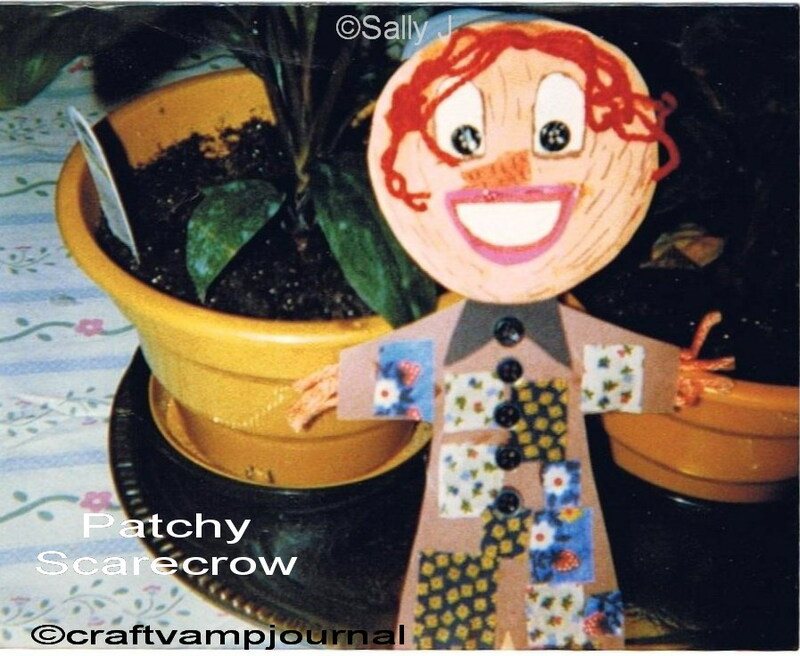 then to do it with colorful rose themed art, crafts, jewelry and more. I put together this Highlight on the Handmade Artists.com site. all the rose themed items I could find. Many artists there have great ideas. I included my Pink Brooch I hand sculpted to honor the brave ladies who fight breast cancer. 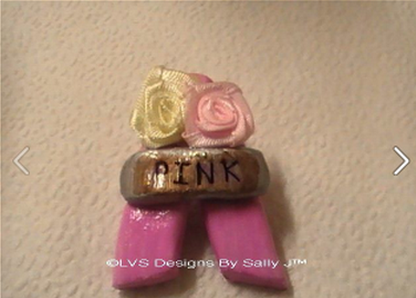 It is a ribbon design of polymer clay featuring fabric roses. 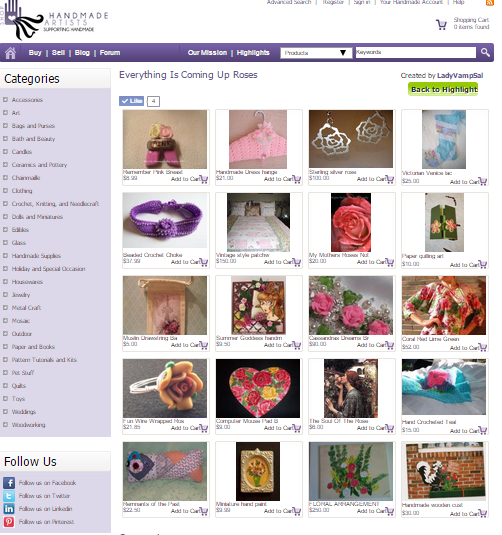 Here is the Highlight named Coming Up Roses from Handmade Artists,com. Why not come visit the site and see it for your self.